Why individuals are drawn to non-traditional, entrepreneurial career paths. The benefits and challenges of pursuing unconventional employment for yourselves and for your clients. Differentiating non-traditional career components to create value for customers, personal fulfillment, and strong financial returns. Practical steps, skills and assessment tools that help you identify how to help your clients or yourselves push forward on a sustainable non traditional career path. Many of us feel more comfortable and safe when driving a car rather than being a passenger. Yet strangely when it comes to work we sometimes ascribe greater employment safety to being in a large organization where employment decisions are made by others, and not necessarily made in our best interests. This perspective is changing as attractive options such as non-traditional, entrepreneurial career paths emerge. A non-traditional career path offers an opportunity to integrate the emotional, intellectual, spiritual and practical parts of who we are. It can be a journey with delightful surprises, with kindred fellow travelers, that brings personal fulfillment and community benefit. It can be a journey we help our clients take, or that we take ourselves. What skills and personal characteristics are needed to succeed and how can they be developed? What factors affect a preferred pace of entry? Does it have to be all-or-nothing or can more measured approaches work? How might the path unfold over time? Where does business planning fit in? Ron Elsdon brings a wealth of experience to career and workforce development, organizational consulting and individual career counselling and coaching. 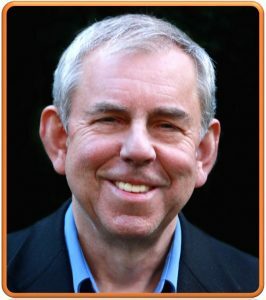 He founded organizations that provide workforce and leadership development in the corporate, nonprofit and public sectors, and that provide caring and personalized career and coaching support to individuals. His work has also included public speaking, writing and lecturing, and more than 25 years of leadership experience with organizations in various sectors. In 2000, Dr Elsdon and his co-author were awarded the Walker prize by the Human Resource Planning Society for the paper that best advances state-of-the-art thinking or practices in human resources. Dr Elsdon’s published works include: How to Build a Nontraditional Career Path: Embracing Economic Disruption (Praeger, 2014); editor of Business Behaving Well: Social Responsibility, from Learning to Doing (Potomac Books, Inc., 2013); editor of Building Workforce Strength: Creating Value through Workforce and Career Development (Praeger, 2010); and author of Affiliation in the Workplace: Value Creation in the New Organization (Praeger, 2003). He holds a PhD in chemical engineering from Cambridge University, a Master’s in career development from John F. Kennedy University, and a first-class Honors degree in chemical engineering from Leeds University.